We believe Europe is at a crossroads. At the local, the Nordic, the European as well as at the global level, the fight for Social democratic values against conservative, neoliberalistic, populist and even authoritarian forces is crucial. In this situation, the upcoming European Elections may prove decisive. Everyone carrying voting rights and believing we need a fair, free and sustainable Europe, on May 26 should cast their vote at the polling station. Make no mistake, what now happens in Europe strongly influences the Nordics, EU members and non-members alike. 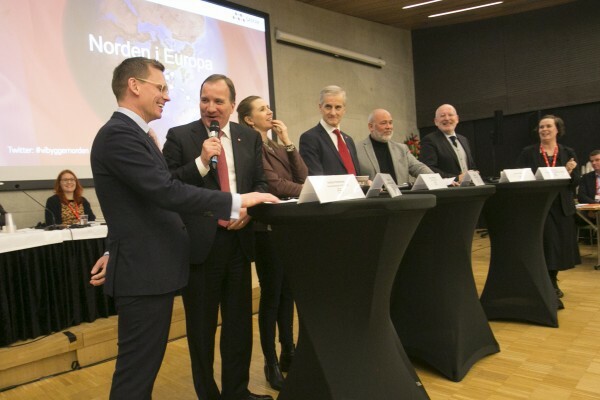 At the same time, the success of the Nordic model should inspire Europe’s future direction, and protect existing well-functioning social systems and labour market models. The European Pillar of Social Rights of Gothenburg 2017 proves this. We are determined this shall be implemented by the next Commission. Ville Skinnari, Vice President of SDP, Finland. Mette Frederiksen, leader of Socialdemokratiet, Denmark. Logi Einarsson, leader of Samfylkingin, Iceland. Jonas Gahr Støre, leader of Arbeiderpartiet, Norway. Stefan Löfven, leader of Socialdemokraterna and Prime Minister, Sweden.